Rejoice! 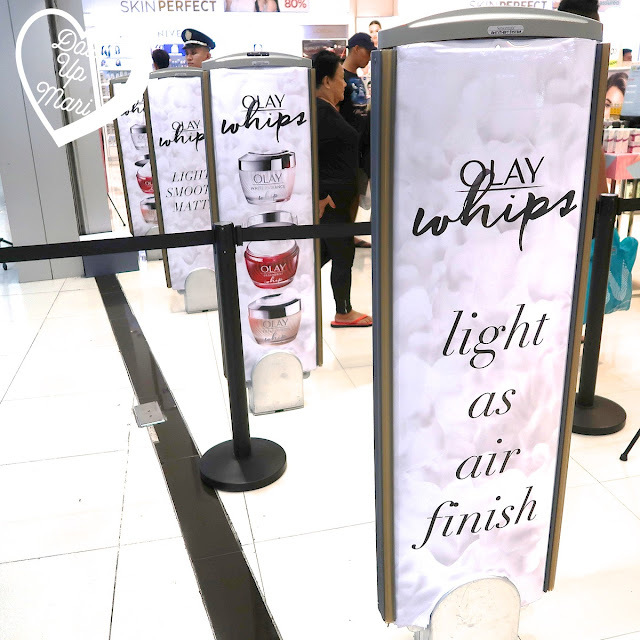 Olay Whip has finally made it to the Philippines! This formulation was developed over 10 years, and was launched in the US about a year ago, and in the UK just very recently. In the short span of time it's been in the market, it's already taken the beauty world by storm! It's amazing that we're getting the Philippine rollout this soon relative to the US and the UK. 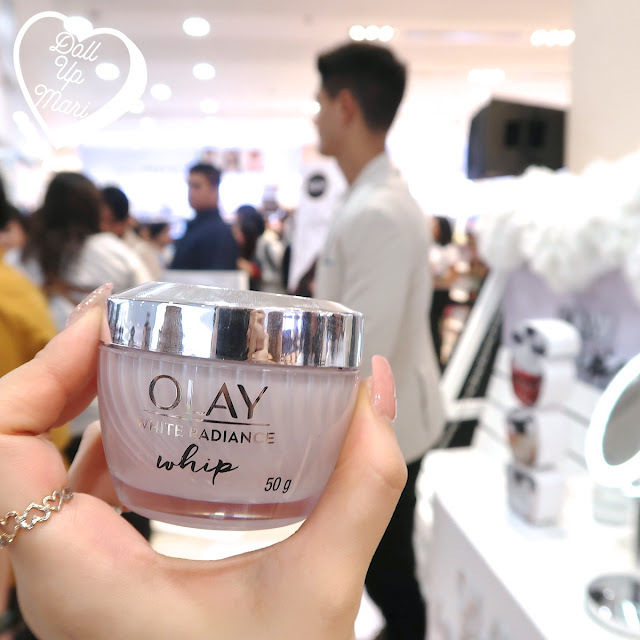 Olay Whip is Olay's entry into the matte finish-fast absorbing cream market, and it's exactly why it's good news that the range is now in the Philippines! 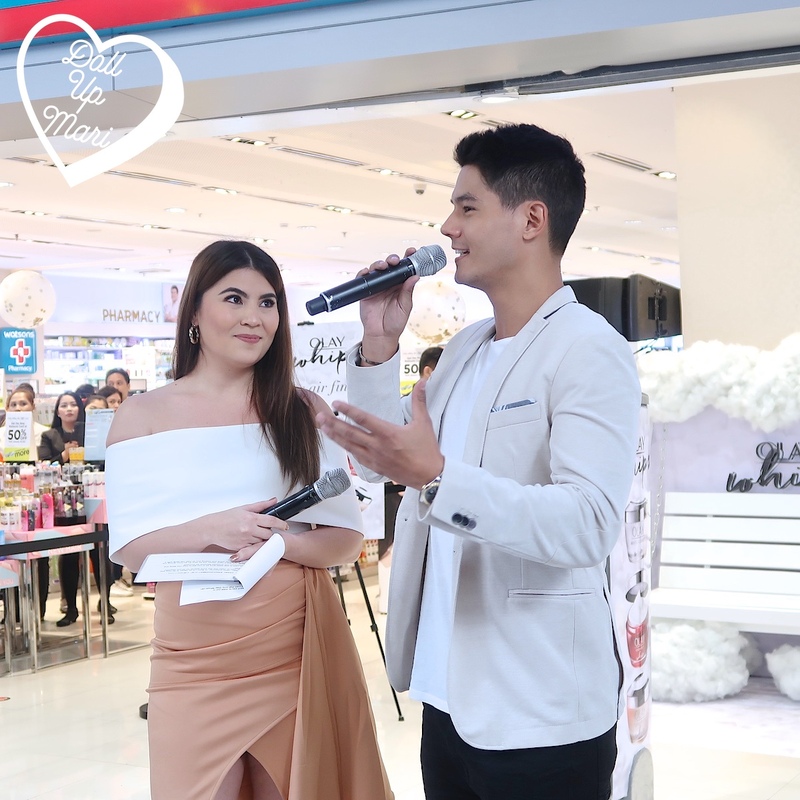 To kick off the launch, Watsons SM MOA quickly turned into Olay land. Even the security panels were turned into Olay banners! Samantha Purvor hosted this event. 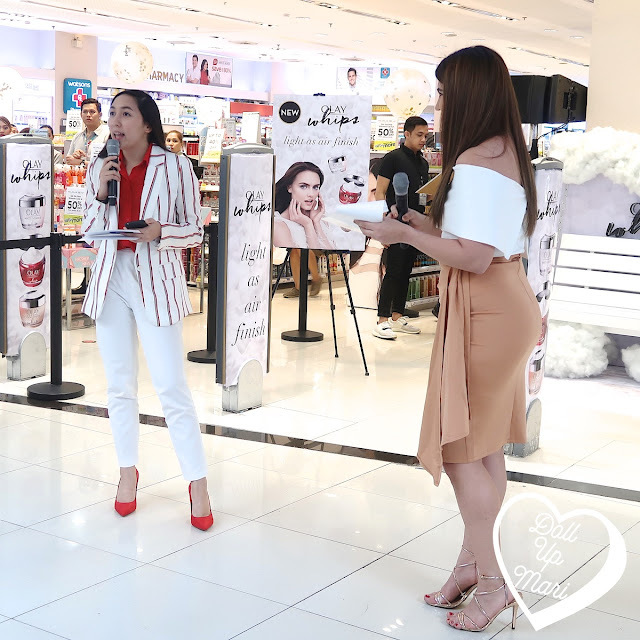 She is quickly joined by Olay Category Leader Iya Parungo who shared that indeed, the wait is over as the hottest Olay release of 2018 is now in the country. She shared that this formulation took 10 years to perfect! Iya gladly shared that Olay Whip creams have Active Rush technology, which enables the creams to deliver a high dose of hydration, without being heavy. 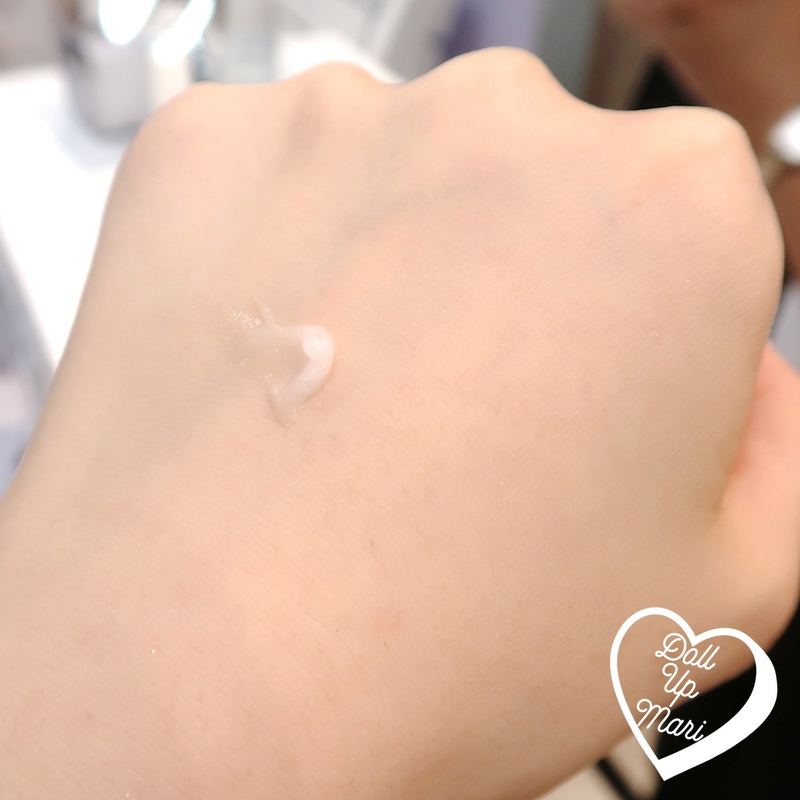 The product also gets absorbed really quickly, so it ends up giving the user real deep hydration, instead of ending up as grease on the skin surface. 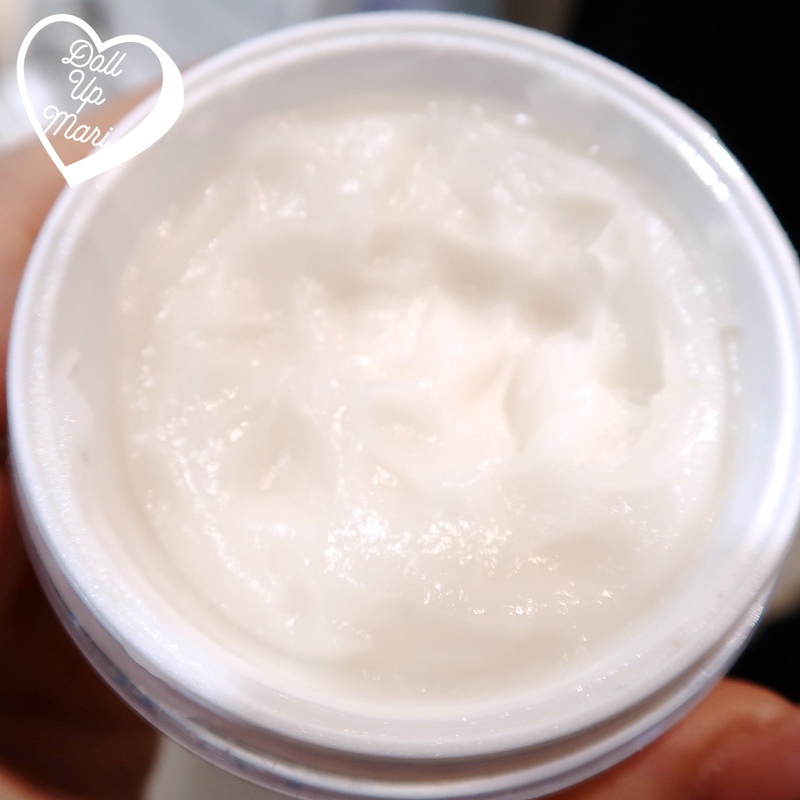 The cream has a transformative texture, coming out of the jar as a thick cream, then quickly transforming into a pore eraser like texture and 'vanishing' into the skin. The highlight of the day, for many ladies, of course, is the special appearance of Daniel Matsunaga. Historically, Olay hasn't worked with many guys before, but this time, he came over to bring some excitement to loyal Olay users. To add, since this cream comes in a very lightweight formula, this is also apt for guys who have skin concerns but want a formulation that doesn't feel gunky nor greasy. Daniel of course gamely posed for photos. 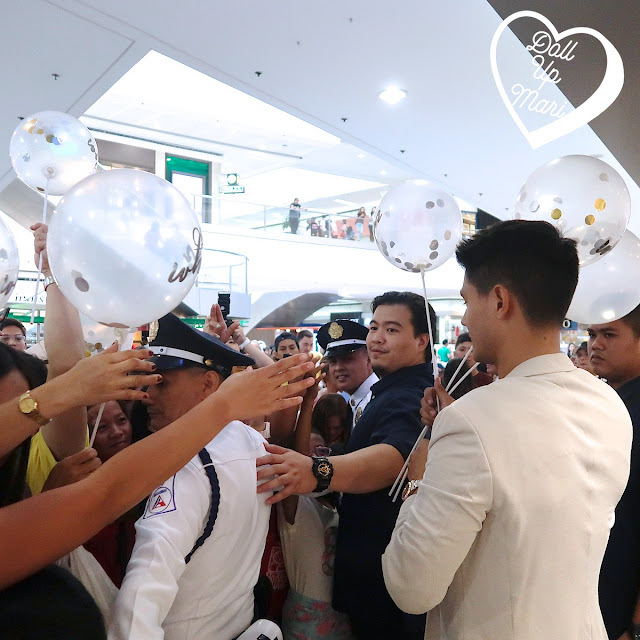 There were squeals from excited fans, and from passersby who were so delighted to see him. All the ladies went gaga, that I can say for sure! 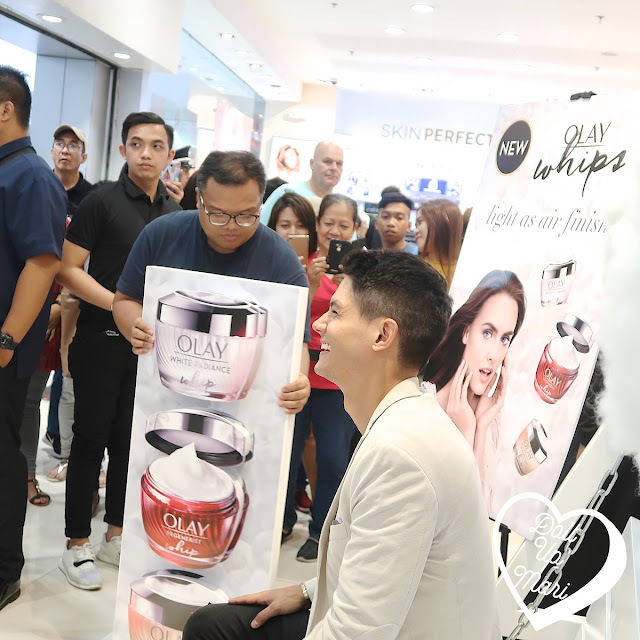 Everyone rushed to buy their jars of Olay Whip to be able to participate in the photo op session with him. The ladies excitedly took photos of him from all angles. Even the foreigners passing by were curious as to who the handsome guy was, and they took photos as well. 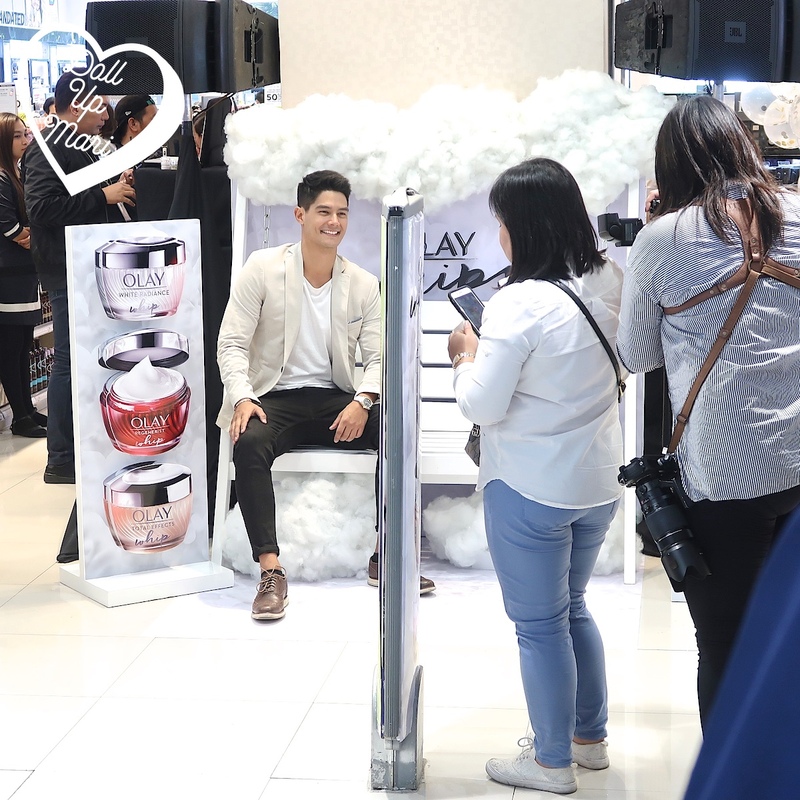 Heck, there was even a Korean guy out of nowhere who just sat beside him and had photos taken, even if he didn't even know who Daniel was! Indeed, one doesn't need to understand what is going on to be enamoured by Daniel hahaha. They had lots of fun games to show the features of the new creams. 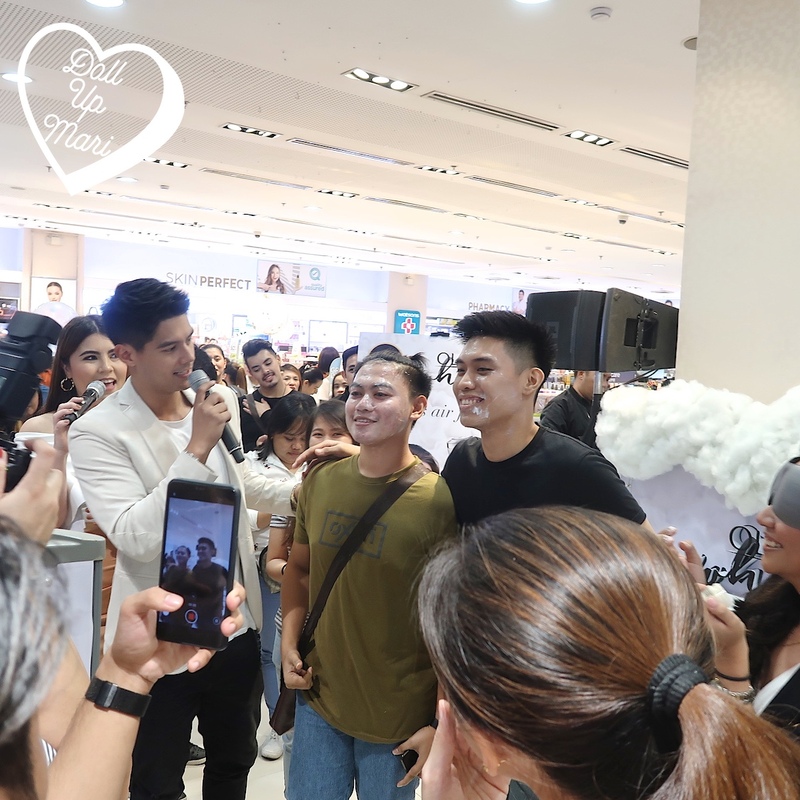 They demonstrated that versus other creams, Olay Whip gets absorbed better (and faster), and thus doesn't produce as much residue on oil blotting paper as other brands. Indeed, it's a delightful discovery as this is a new revolutionary texture that can (and will) replace the top selling creams in the market today. But the more fun part is when they had this game wherein the participants were to apply Olay Whip onto the face of their teammate whilst blindfolded. The rule was that they needed to be able to apply cream onto the whole face, and make sure it is absorbed. The participants ended up using the whole jar of the samples they were provided, and we all had a great laugh. The participants happily posed for a photo, in between laughing over how much cream was applied onto their faces. It's like they have a week's worth of cream on their faces! Okay, so these are the products! 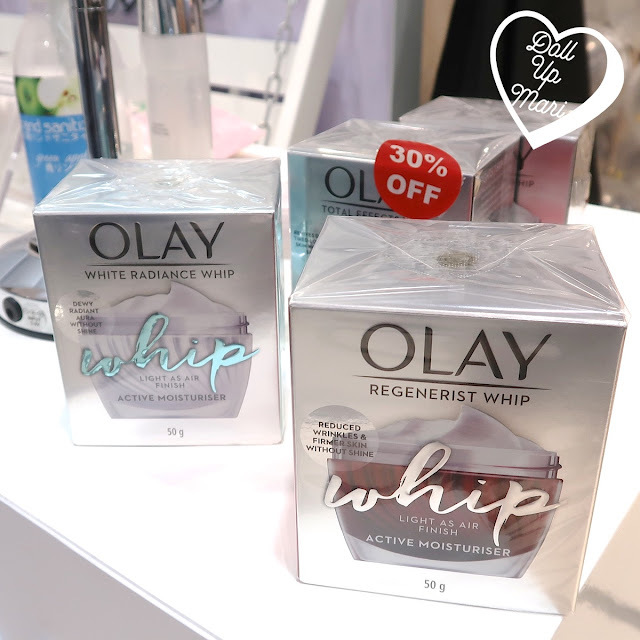 Olay Whip comes in three variants. They have the beloved Olay variants Regenerist, White Radiance, and Total Effects, but in a new lightweight texture. As far as I know, the current creams in the original formats will not be phased out. 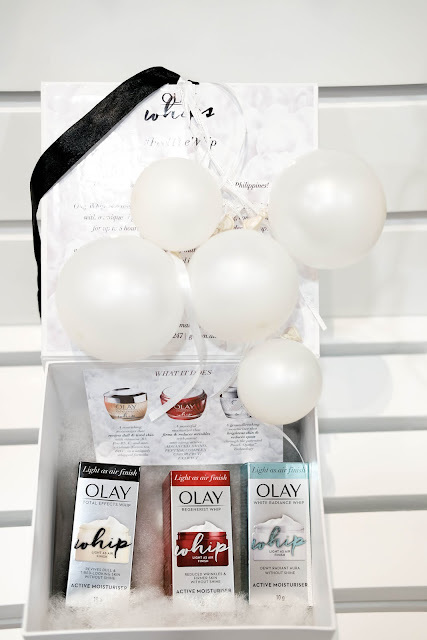 They technically are just offering a new option for the people who are in love with the impressive effects of Olay creams, but want something easier to use for everyday. 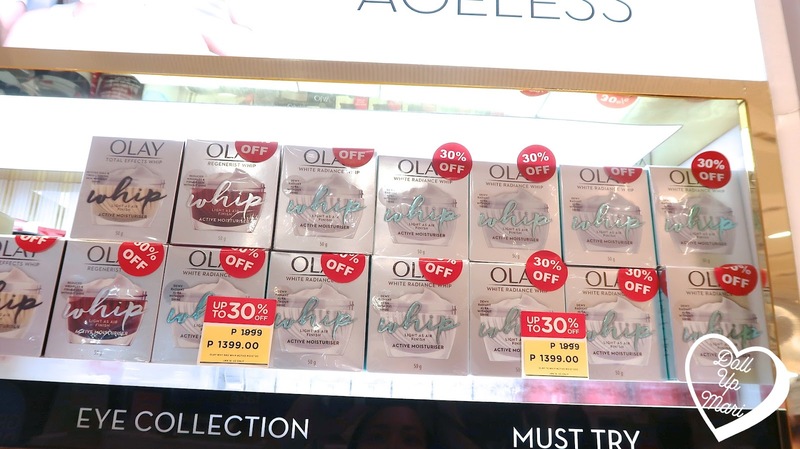 Olay Total Effects Whip is the same phenomenal formulation with the iconic 7 benefits in 1 cream, but of course, in a lighter texture. This variant promises moisture replenishment, even skin tone, brighter skin, smoothed out fine lines, minimized pore appearance, restored firmness and visibly reduced dark spots. This is rich in anti-oxidants and has niacinamide to improve skin texture. This is perfect for those who want to brighten up tired looking skin and get rid of the appearance of haggardness and stress. 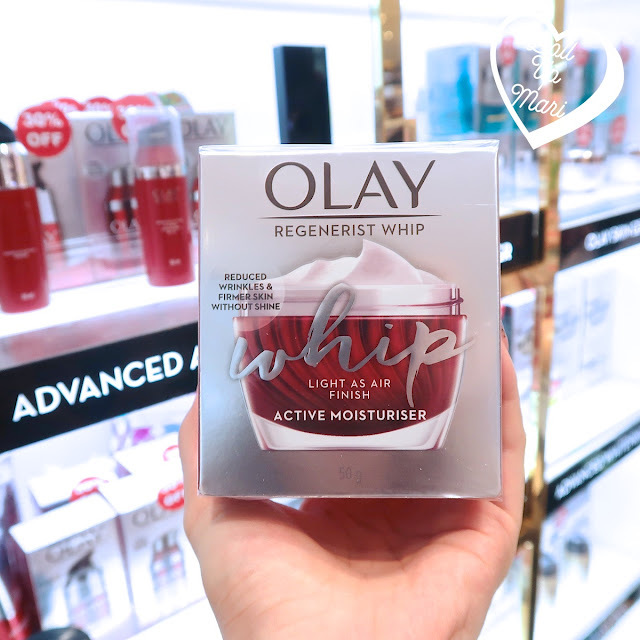 Olay Regenerist Whip is enriched with Animo-Peptide Complex II, providing anti aging effects. This variant promises to improve skin elasticity, and to diminish the look of fine lines and wrinkles. Most Regenerist fans I know only use the original product at night as the texture is a bit too much for daytime. My mom was able to use the original cream for both daytime and nighttime, but not everyone is like her. This time, with this new offering, Regenerist fans can now use the Whip version at day, and the original version at night. At night, pair it with the essence as a bedtime routine for maximum efficacy. As for this Whip version, this'll work quite well as a makeup primer, so this will be convenient to use during the daytime. Olay White Radiance Whip is equipped with Pearl- Optics™ Technology, to of course make skin bright and radiant. The promise is a dewy radiant aura, without the unwanted shine. 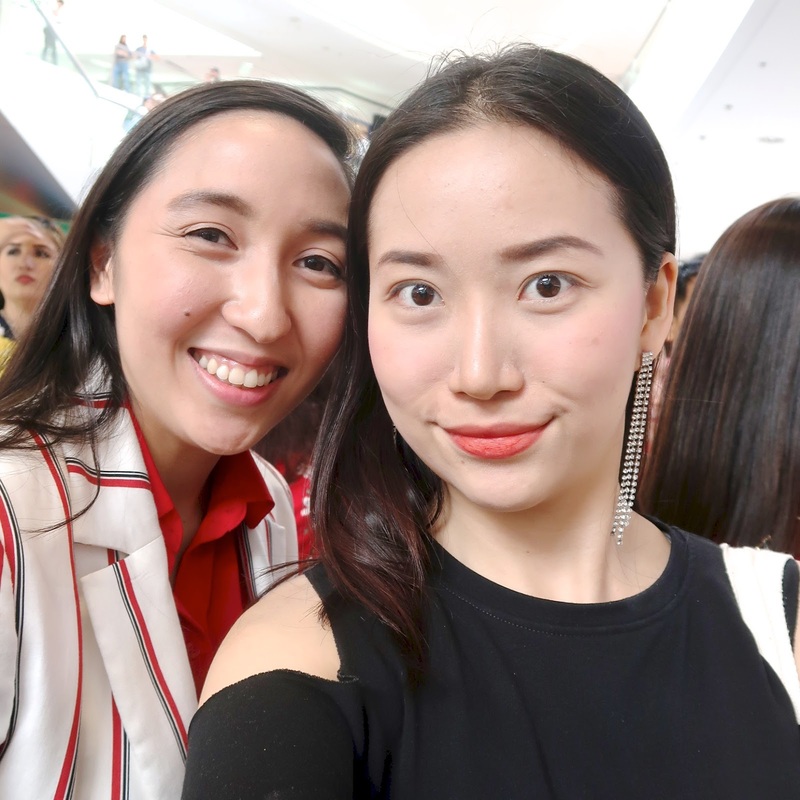 I know a lot of people are falling in love with the K-beauty trends, and would like to achieve dewy skin, so it's quite exciting to have a market entrant that promises dewy skin without the greasiness. There are a lot of Korean offerings that are amazing at creating a goddess like dewy aura, but only work well in the Korean weather. I hope that this is something that can give the desired goddess like aura, but will work well in the Philippine heat. When you open the jar, this is how it looks like. It's like a jar of matte makeup primer, and although the name is Whip, I actually find it to have a more mousse like finish. When I think of whip, I think a lot about whipped cream or marshmallow icing. But this one doesn't have that kind of texture. It's not powdery, but it's matte to the touch, and feels like velvety mousse. But indeed, the cream quickly melts into the skin and provides a moist matte finish. It vanishes into your skin before you even know it! The fragrance for this one (White Radiance) is also light and refreshing. On the day of the event, there was just one jar opened, so I have yet to know how the other variants smell like at some future Watsons visit. And Jean whom I haven't seen in so long..
And Iya who is now Olay category leader but was a friend from UP! 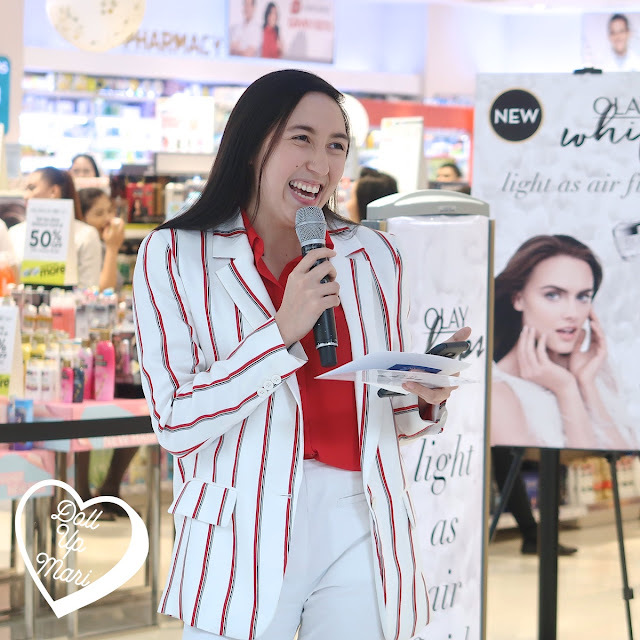 If you're a fan of Olay's very potent creams, but want the same potency in a lighter format, then it's time to try Olay Whip! Olay Whip is priced at Php1999 per variant per 50g jar and is now at Watsons. 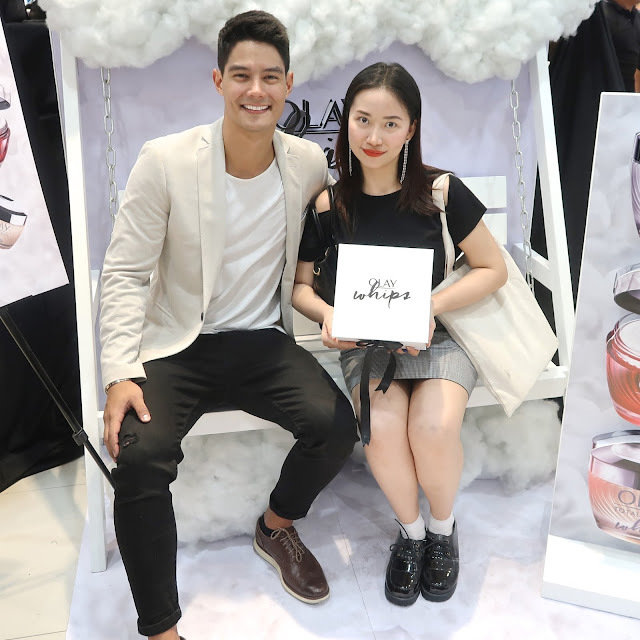 This is expected to be available in Olay's e-commerce channels real soon! wow naman, very trusted brand tapos super worth it kapag ginamit mo. Miss Mari pwede ba sa pregnant women to?